This Key Chain Is beautiful crafted from solid brass key chain a beautiful shine and features a round split key ring. This incredible key chain is made from a solid brass nautical compass that really works. These Brass anchor key ring, made of brass. Available in brass finish, antique finish, black finish, patina finish, nickel plated finish.. 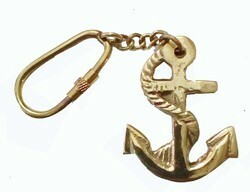 This brass anchor keychain has a movable flukes like a real anchor. This anchor is beautifully crafted from solid brass. We are the leading supplier and trader of Anchor Key Chain. 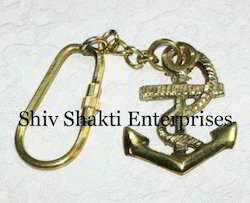 Clients can avail Anchor Key Chain from us at market leading prices. Shipping and processing "we process in 10 Days"